Fast rising music minstrel and music coach, Min. 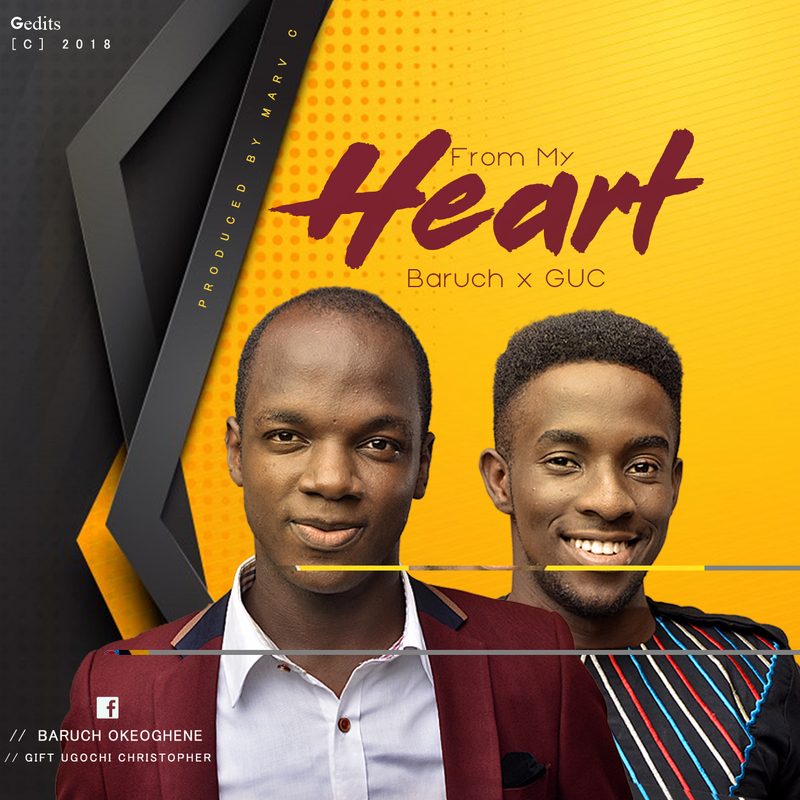 Baruch Okeoghene makes his first appearance in the industry! His debut single titled “From My Heart” will be featuring seasoned Minstrel and anointed worship leader, Min. GUC. This song brings into consciousness, the Immeasurable love of God for us which compels to respond in like manner from the very depth and sincerity of our hearts. As recorded in Matt 22:37 – “Jesus said unto Him, Thou shalt love the Lord with all thy HEART…” This is the focal point of our Relationship with God! We then have to offer ourselves to the Lord as Love offerings in appreciation of His love towards us! This beautifully composed and arranged piece of music brings a Revival of Love to the body of Christ! Enjoy and Be blessed! Download and share on all social media platforms!! !